Your roof is an extremely important part of your home and business. We at Champion Roofing are continually striving to improve ourselves in order to provide all of our clients with the best possible experience. Along the way, we ask for feedback from those with whom we work so we can improve our processes. 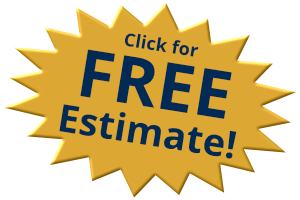 We know we are the best commercial and residential roofing contractor in the Greater Chicago Area because our customers tell us so. Take a look at what our customers are saying about us! It’s one thing to have a roof that is an eyesore, it’s quite another when the thing stops serving its purpose all together. When leaks in our roof invaded our home we turned to the fine folks at Champion Roofing and it proved to be the absolute best move we’ve made in the five years we’ve lived in our home. Champion Roofing fixed our problem in record time, supplying the experience and reliability to get the job done right. It turned out to be a more complicated job than originally expected–we had some rotted wood inside the roof that had to be replaced. Champion Roofing gave us sound advice and cost-effective options. We couldn’t be more pleased with the finished product. You won’t believe how solving one bothersome problem can improve the quality of life for your family. We learned that wonderful lesson from the folks at Champion Roofing. Thanks for an outstanding job. Mike Mulligan, WSCR morning radio host.